US Election Law Blogs List. The Best US Election Law blogs from thousands of top US Election Law blogs in our index using search and social metrics. Data will be refreshed once a week. Studio City, California About Blog Rick Hasen's Election Law Blog explains the law of politics and the politics of law: election law, campaign finance, legislation, voting rights, initiatives, redistricting, and the Supreme Court nomination process. Facebook fans 1,229. Twitter followers 29,965. San Francisco, CA About Blog Advocating for transparent election processes and verifiable voting systems. The Verified Voting Foundation is a nonpartisan nonprofit organization championing accessible, reliable and publicly verifiable elections. Facebook fans 1,773. Twitter followers 4,128. Williamsburg, Virginia About Blog We dedicate this blog to how Americans vote. We will focus our microscope closer than the four year presidential pageantry and the buzz of national campaign finance law coverage on the evening news. It’s voting at the local level, determined by state and local level election laws and practices, that make the difference in our perennial exercise of democracy. Facebook fans 54. Twitter followers 28,395. About Blog This blog’s mission is to provide informed analysis of US national elections by members of the Princeton academic community. Facebook fans 2,608. Twitter followers n/a. About Blog New research, analysis and commentary on election reform, voting technology, and election administration. Iowa City, IA About Blog Find info on Election law, voting rights, legal education, the bar exam, and miscellany written by Derek T. Muller, Associate Professor of Law, Pepperdine University School of Law. About Blog Discussing developments in the law affecting the political process. About Blog Find information on legislation, elections and litigation covering the empire state. Washington DC area About Blog Election Law Center is a source of news and commentary that provides a perspective regularly underserved in academia and often ignored by the legacy media. Facebook fans n/a. Twitter followers 9,182. About Blog This blog provides source of information for people who are interested in the law—and particularly election law—as the operating system for society. Given this mission, and my interest in law as the game engine of governance, I often also touch on history, economics, and constitutional law. About Blog Updates about ongoing redistricting litigation in the Lone Star State and coverage of election law more generally. This website's goal is to try to make sure the redistricting process and litigation over voting law is as transparent and accessible as possible to the public. Hopefully, it will be of some use to a broad range of interested parties, both lawyers and non-lawyers. 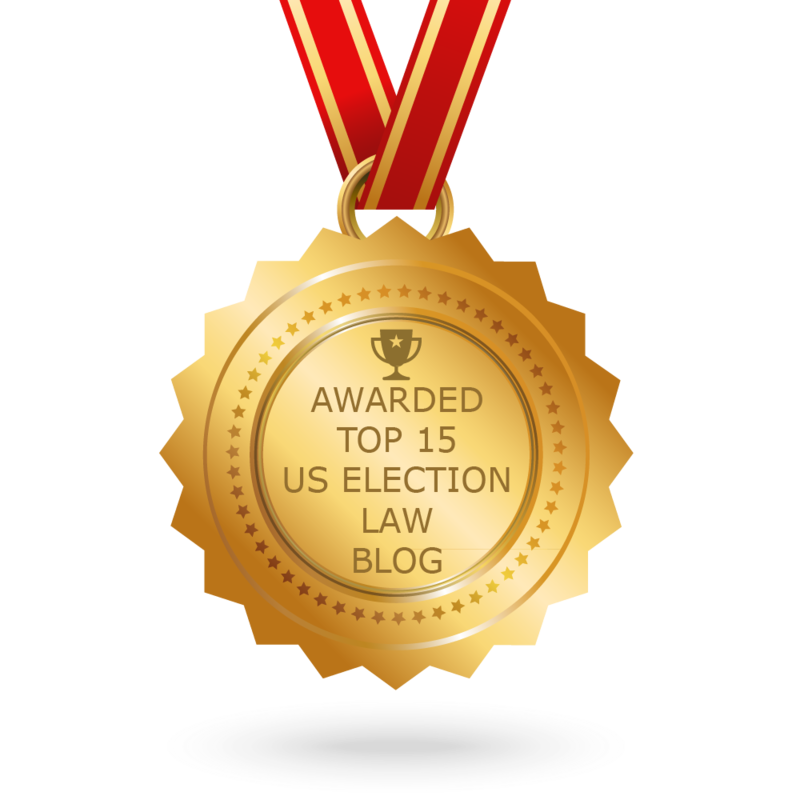 CONGRATULATIONS to every blogger that has made this Top US Election Law Blogs list! This is the most comprehensive list of best US Election Law blogs on the internet and I’m honoured to have you as part of this! I personally give you a high-five and want to thank you for your contribution to this world.